Daniels Landscape completed this comprehensive landscape design and construction for a multi-acre estate in La Jolla, CA. This landscaping project included an outdoor kitchen, a wooden pergola on concrete columns, custom water features, an aggregate driveway, and beautiful plants and trees throughout the entire property. 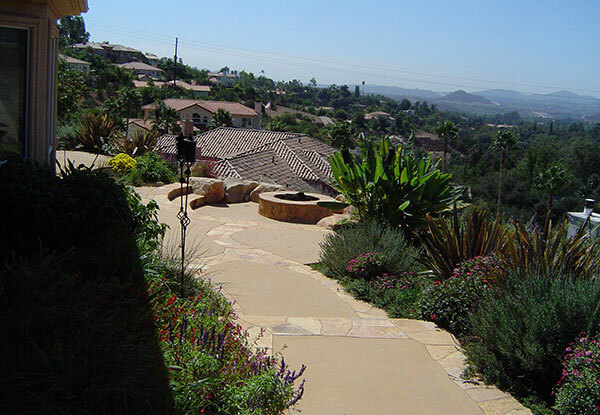 Daniels Landscape completed this backyard renovation in Escondido, CA. We resurfaced the entire pool and surrounding pool deck, installed retaining walls, and planted trees and plants to create this beautiful outdoor environment for the whole family to enjoy. We remodeled this backyard in Escondido, CA by adding a pathway of stained concrete steps surrounded by natural stone gravity walls which match the stone water features throughout the yard. 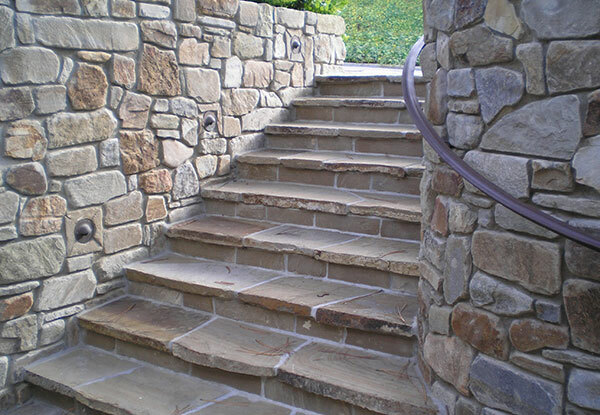 This stone paved stairway in La Jolla, CA was built with pathway lights for a safe and elegant design whether it is day or night. Walls will never look barren if you build a waterfall into them. 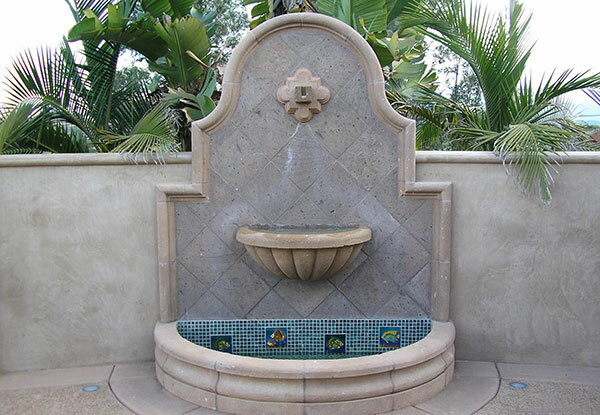 We installed this built in water feature in Bonsall, CA using cantera stones and a tile bowl to create an attractive piece of art for this home’s yard. Vanishing water features are an awesome addition to high end landscape designs. 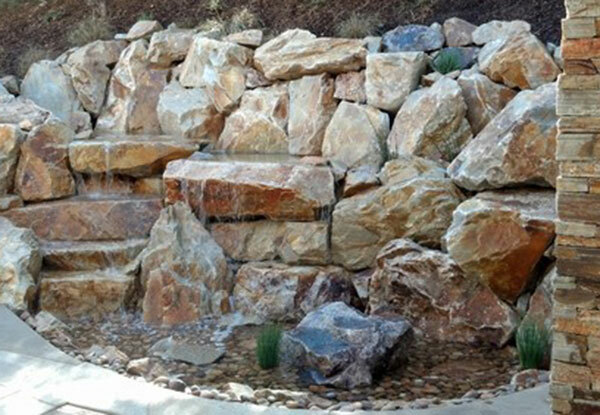 We used a crane and backhoe to install this waterfall with a vanishing underground reservoir in the San Diego area. We completed this fireplace installation in La Jolla, CA. 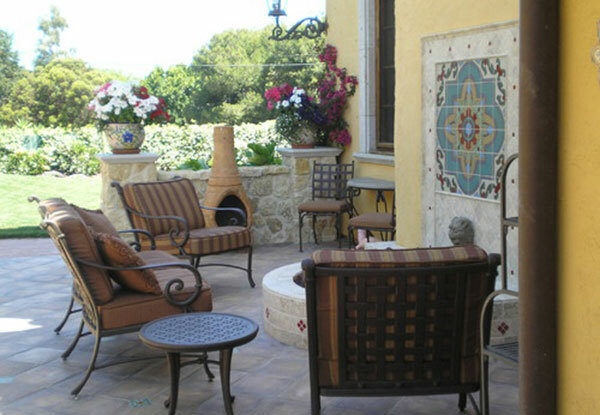 Different colored tile schemes add a custom appearance to this unique outdoor entertainment area. 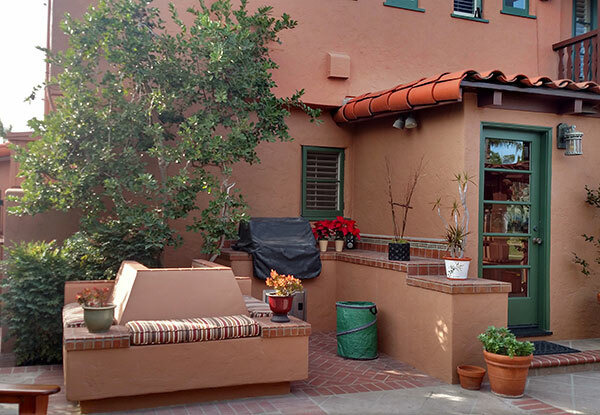 Brick accents are the perfect addition to old style stucco homes or spanish themed residences. 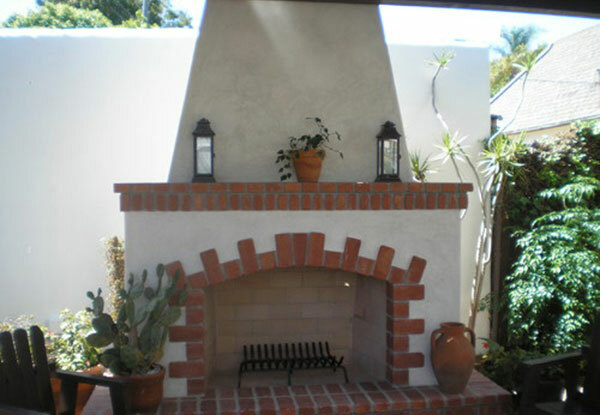 We used symmetrical brick designs in this outdoor fireplace installation in Point Loma, CA. We installed this retaining wall garden in La Jolla, CA and planted flowers, trees, and various succulents to create a simple yet attractive look to this backyard. Fire pits are a favorite addition to outdoor entertaining areas. 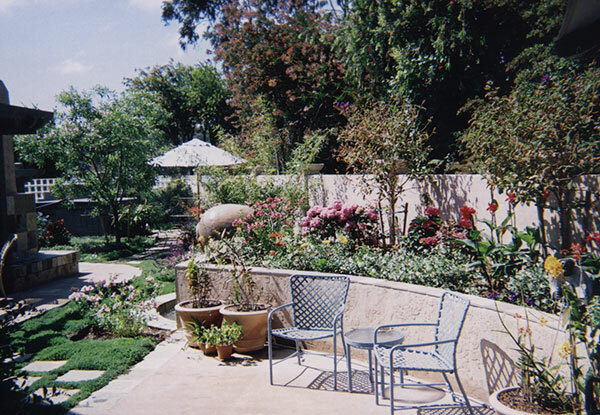 This hardscaping project used large, natural boulders to create a 7ft retaining wall in Escondido, CA. 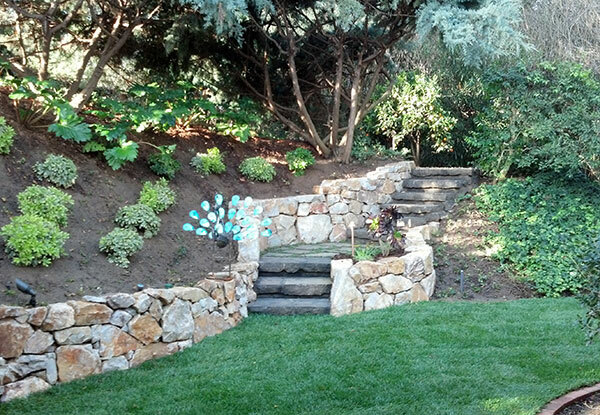 Daniels Landscape Inc. installed this two tiered rock wall garden in San Diego, CA to prevent erosion on the slope from interfering with the home. Using natural boulders for the gravity walls, we created an appearance that complemented the surrounding plant life. 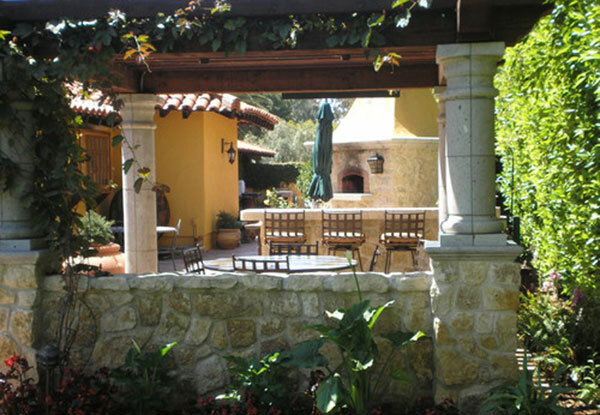 We installed a concrete wall with a patio cover and natural stone flooring to create this private relaxation area in the backyard of this Vista, CA residence. We created a custom distressed appearance with brick accents for the finished product. Creek bed installation can be tricky without the proper water pump support system but nobody wants a huge pump in their yard. This creek bed install in Vista, CA includes a concealed water pump emerging from another rock in the landscape. 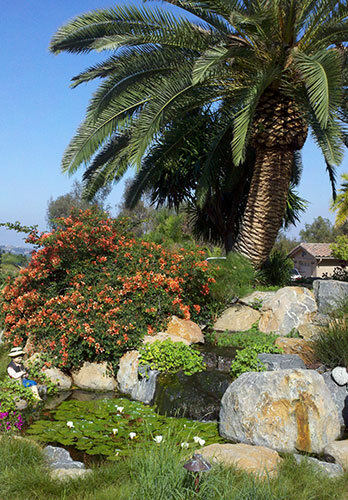 This koi pond and waterfall installation in Bonsall, CA was part of a complete landscaping design and construction project for a residential client. 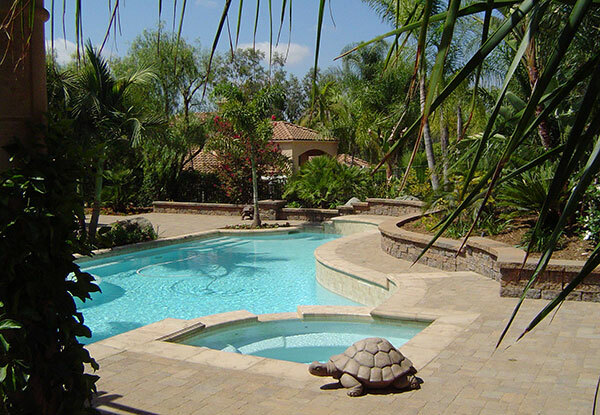 The custom water features, lush greenery, and giant palm tree create a spectacular outdoor space.